ThirtyTwo snowboard Boots and Outwear - Rider Driven, Performance snowboarding. Thirtytwo immediately took the snowboard scene by storm when they released their first line of snowboard boots in 1995. Now with a world class team, outstanding boots and full line of super stylish outerwear and softgoods, Thirtytwo is one of the most desired brands in the snowboard industry. Thirtytwo produce a large range of both mens and womens snowboard boots designed for all types of snowboarding from freestyle to park and all-mountain riding with both traditional and boa lacing options. With a great selection of technical hard-wearing outwear, they have grown and become one of the UK's most popular and trusted brands. Thirtytwo have been around for some years now, and their reputation for building quality, innovative, lightweight and functional snowboard boots and clothing is second to none. To back this up they also have one of the best snowboard teams out there including riders like Jeremy Jones, JP Walker, Scott Stevens, Simon Chamberlain, Chris Bradshaw and Joe Sexton. A premium version of the women's Lashed a best-seller. Gym sock inspired women's ski/snowboard socks from thirtytwo. 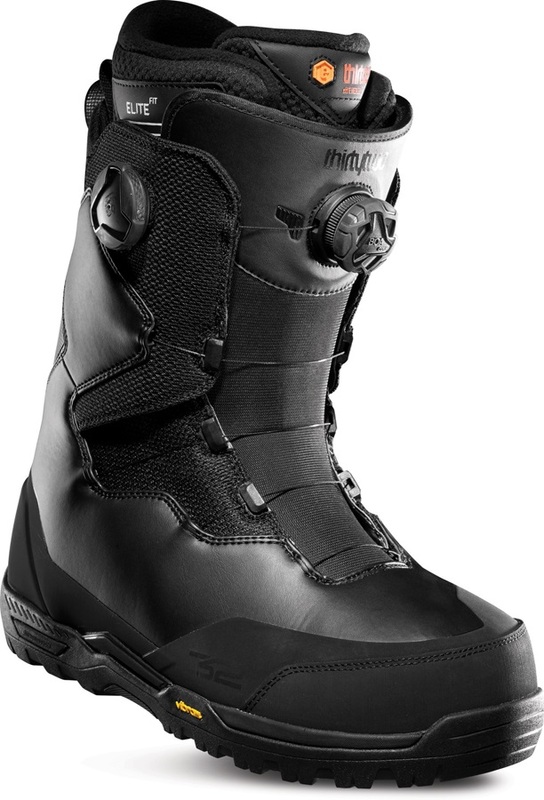 Dual Boa freeride boots, built to dominate the mountain with power, support and stability. Inserts to stop heel lift for your snowboard boots. Lightweight technical jacket by 32, jacket of choice by team rider JP Walker. With a mid-fit and simple 5-pocket styling the Wooderson pant is the go to pant for the thirtytwo team. Super warm and comfortable midweight women's ski/snowboard socks from thirtytwo. All the support of a top range boot, with the comfort of your favourite shoe. These no-nonsense Chino style pants feature a mid fit for those that don't want a super skinny or baggy fit. Top selling Women's boot, packed full of tech and now with a BOA closure system. Military Cargo Field pant that comes with a regular fit that provides excellent freedom of movement. Multi-purpose bucket hat perfect for those post shred BBQ vibes. Women's Camden Jacket from thirty two blends street fashion with technical outwear, making it feel just at home on the streets as it does on the slopes! These no-nonsense Chino style pants feature a slim fit for those that crave a skinnier fit than thirtytwo's mid and regular fit. 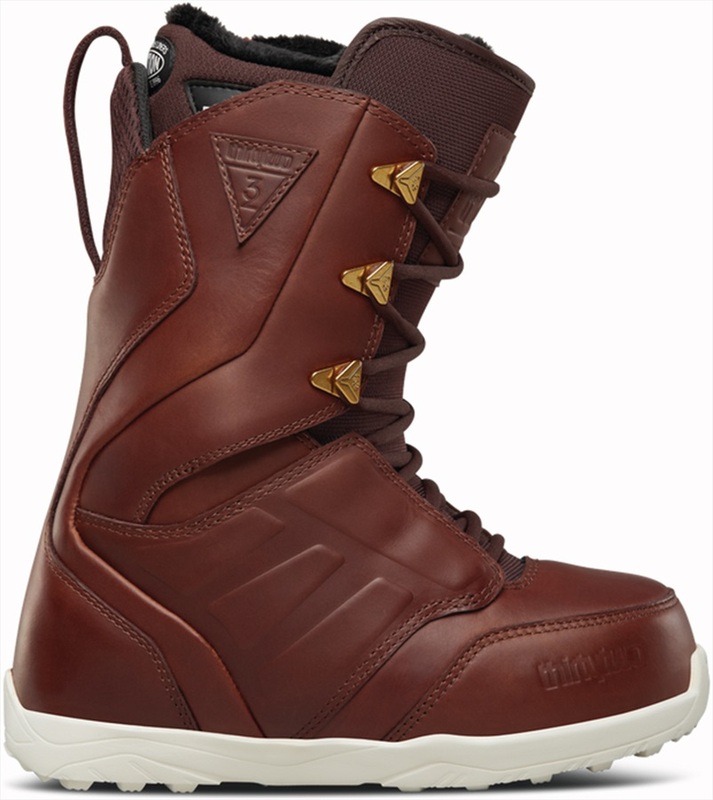 Spin into your perfect fit with this lightweight all-mountain Women's BOA snowboard boot. Water resistant, fleece hoodie from 32 suitable as a dry weather top layer or a mid layer. Super warm and comfortable heavyweight women's ski/snowboard socks from thirtytwo.